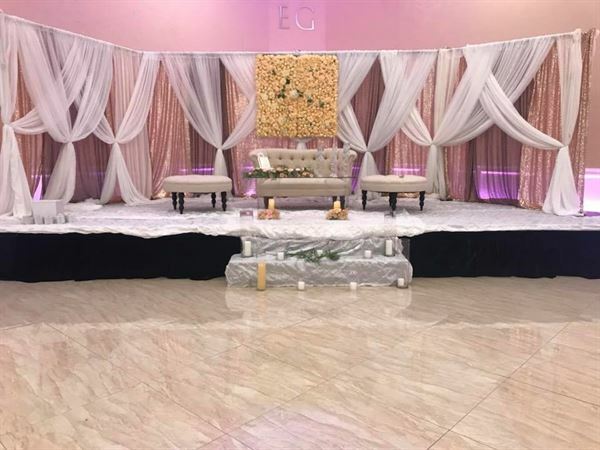 Eden Gardens Event Center has a total area of 5 acres (217,800 sq. feet) and total hall area is 10,000 sq. feet with approximate seating capacity of 900 persons. This venue is the headquarter of Eden Gardens and provide exclusive services such as lush garden, outside wedding canopy facility which can accommodate almost 1,000 persons, and a decor showroom which lets you find decor for your event.